A conference centre has grown its business by launching a new rural retreat, thanks to a Velocity grant. Hothorpe Hall, in Theddingworth, recently unveiled The Woodlands, an extension to its existing conferencing facilities which offers a new dedicated venue and a collection of 23 rooms for delegates. The ambitious development was part-funded by a Velocity grant, used to upgrade Hothorpe Hall’s wifi capability, new hospitality booking software, a data capture system and video marketing campaigns. Sian Kalidoski, Marketing Manager at Hothorpe Hall, said: “We knew that our data capture wasn’t good enough. For example, when we had a conference for 200 delegates we were only getting the email address of the organizer rather than all 200 people attending. “The Velocity grant has enabled us to capture this data through wifi logins and allows us to then send marketing material to other key decision makers who may have attended the conference. Velocity business adviser Andrew Rozzier spent more than 20 hours ensuring the IT project was the right thing to do for the business, helped with the review of suppliers and the grant application process. He also made local councillors and development officers for Daventry District Council aware of Hothorpe Hall and they came to visit on the open day, alongside a Northants Chamber board member and a senior FSB official. 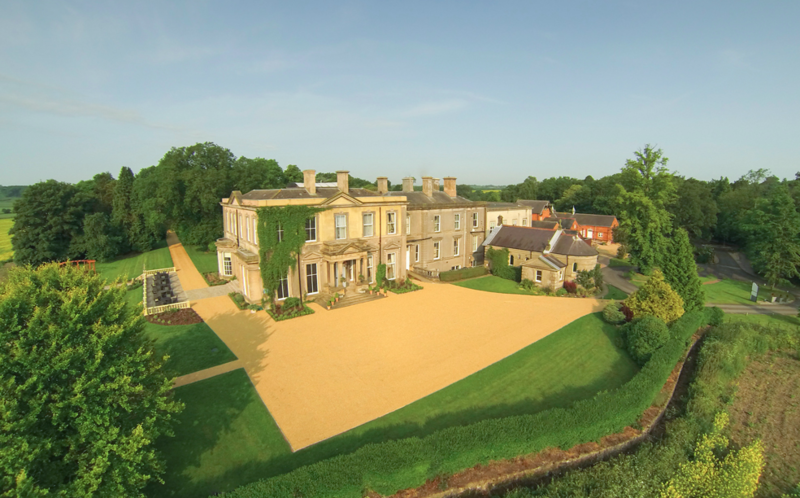 Hothorpe Hall now boasts a total of 78 rooms and 11 conference suites. The addition of The Woodlands has enabled Hothorpe Hall to take on a number of new staff and further additions are in the pipeline. Sian added: “The whole Velocity process has been superb. I’ve been on a few of the workshops, which were excellent, and the grant procedure itself was very smooth. The speed at which it all happened was incredible. Velocity Growth Hub and its qualified and experienced Business Advisers are available to help businesses in a number of ways, through one-to-one support, grants and free business workshops. To find out more about how Velocity could help you, call 0300 01234 35, visit www.VelocityGrowthHub.com or follow us on Twitter @VelocityGrowth.